… regardless, let’s just cut through the sh!te, shall we? 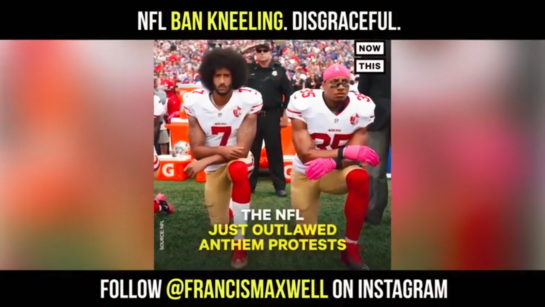 We got a whiff and posted on the NFL’s kneel ban days ago. Now NFL Commish Roger Goodell puts it all the way out there… No longer speculation, the ban is out there. 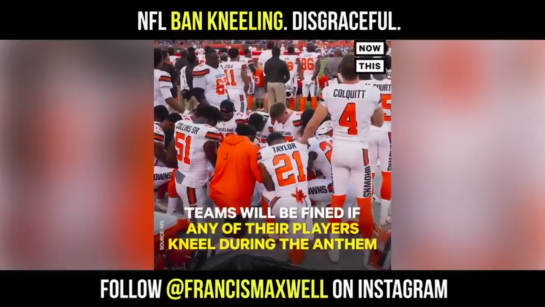 Watch TYT’s Francis Maxwell speak on it, and make a helluva good point: The League is FULL of Black players whose interests are repped by this LAWFUL, PEACEFUL protest. 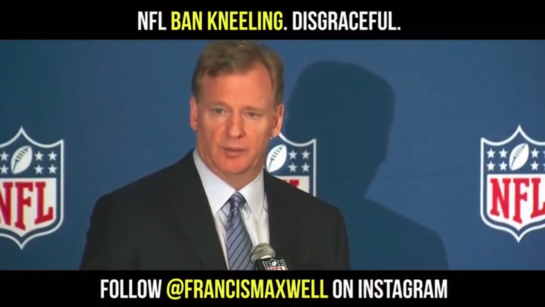 Goodell and the NFL owner cadre are essentially telling them to bow down, by insisting that they either stand for the anthem or stay off the playing field until they learn to ‘act right’… or get hit in the pockets. NFL Bans Kneeling. So Much For Free Speech, Right? Keeping some pay to keep the ‘workers’ in check. Talk about a payCHECK… Wowwwww!